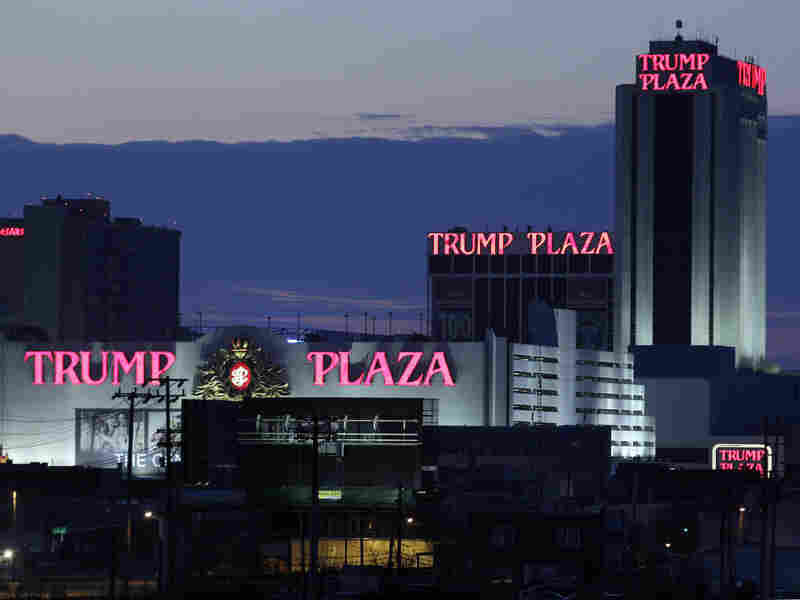 Trump Plaza Latest Atlantic City Casino To Fold : The Two-Way The casino sent out a warning on Monday to more than 1,000 employees that their jobs will likely end in September. It could be one of four Atlantic City casinos to shut down. The Trump Plaza Hotel and Casino opened to much fanfare in 1984 but may close by mid-September. The Trump Plaza Hotel and Casino is expected to close on Sept. 16, making it the latest in a series of Atlantic City casinos to go under. As required by federal law in advance of mass layoffs, the hotel sent out warnings about the planned closure to employees on Monday. According to a document obtained by The Associated Press, a total of 1,153 layoffs are expected. "I've been back and forth between being depressed and angry all day," Jim Whelan, a New Jersey state senator and former Atlantic City Mayor, told KYW, the CBS affiliate in Philadelphia, on Sunday. Atlantic City began the year with a dozen casinos in operation but will may soon be down to eight. The Atlantic Club closed abruptly in January. Last month, Las Vegas-based Caesars Entertainment announced it will be shuttering the Showboat Atlantic City Hotel and Casino in August. The city's newest casino, Revel, has filed for bankruptcy twice and may shut down next month if a buyer is not found at auction. Between them, the closures and threatened closures have put nearly 8,000 jobs at risk. "We didn't expect this to happen all at once like this," New Jersey state Rep. Vince Mazzeo, who represents the Atlantic City area, told Reuters. With competition from other outlets in neighboring states, including casinos operated by Native American tribes, gambling revenue in Atlantic City has plunged by nearly half from its high of $5.2 billion in 2006, although revenues ticked up a bit in June. Trump Plaza was one of real estate mogul Donald Trump's pet projects when it opened in 1984. He has sold most of his interests, however, limiting his exposure to a 10 percent stake in Trump Entertainment Resorts. "I let them use my name, but I have nothing to do with it," Trump told The Associated Press on Saturday. "I got out seven years ago — my timing was impeccable."